Identify side effects and contraindications to medications that have the potential to suppress a patient’s protective reflexes and respiration. 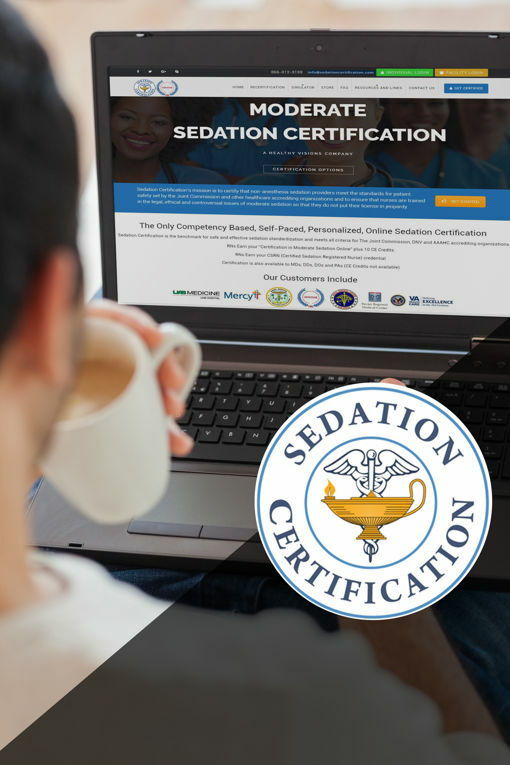 Six hours of video lectures and four hours of competency study on the means, methods and medications for safe sedation. A full course manual with PowerPoint presentation and a competency reading guide. 100 question exam with a passing grade of 80%. You will get notification right away when you pass! You will be able to download your CE Credit Certificate upon successful completion. 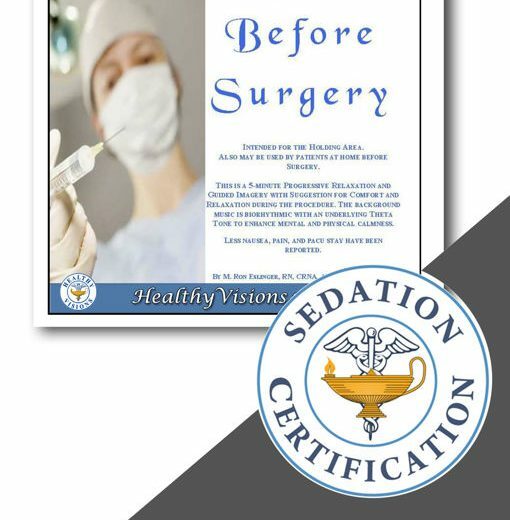 You will receive via USPS mail your Certification in Moderate Sedation Certificate suitable for framing. 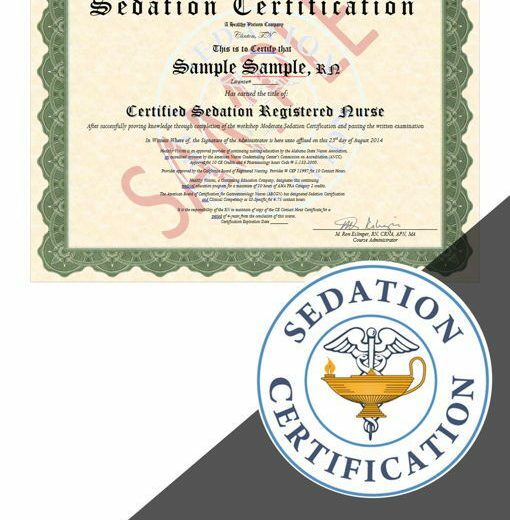 You will also receive a free one year membership in the American Association of Moderate Sedation Nurses (AAMSN) with a certificate suitable for framing and a membership card. You are allowed one (1) opportunity to pass the examination. If you require a second attempt a $25 administrative fee will apply. A 3rd attempt will require re-registration at full cost. Healthy Visions is an approved provider of continuing nursing education by the Alabama State Nurses Association, an accredited approver by the American Nurses Credentialing Center’s Commission on Accreditation (ANCC). Code # 5-133. 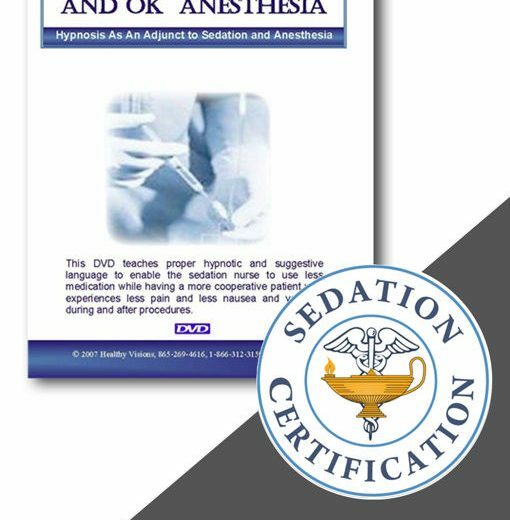 The American Board of Certification for Gastroenterology Nurses (ABCGN) has designated Sedation Certification and Clinical Competency as GI-Specific for 6.75 contact hours.